With the cold and flu season upon us, what is there on offer on the natural or alternative front? We all know about taking hot lemon and honey, but is there anything else? In this talk, we will be looking briefly at our immune system, how it is made of two integral parts, what we can do to boost our natural immunity, what affects it and also a look at herbal remedies that have a track record of being effective against pathogens. We shall also be looking at what was used before the wide usage of antibiotics including a historical reference to what saved 1000s of patients from a single doctor! Be amazed at what Mother Nature has to offer us when we start to get the sniffles! What Is The Nature And Purpose Of Physical Reality? There are hundreds of millions of stars in our galaxy, and hundreds of millions of galaxies in our universe, yet we’ve received no signals from other worlds. Thousands of UFO sightings are reported every year with an estimated quarter of a million sightings documented worldwide over the past 50 years. So many authenticated sightings, but no signals coming from ‘out there’...so what does it all mean? Mark will be presenting a scientific, historical examination of various ancient human species through world-wide archaeological discoveries of elongated and genetically-extended human skulls, representations of the human head, ancient head cults, artificial head stretching, modern scientific analysis of the brain, and silicon crystal technology. This presentation goes to the very heart of who and what we are, and where we came from. Ken Andrews brings his own informal and humorous style to the investigation of foods – do they really suit us or not? Most of us have experienced eating or taking “something” that was supposedly good for us only to find out it was not. “I tried that and it didn’t do anything?”… but, of course, one “thing” does not suit everyone! In this two-part series, Ken will be presenting an audience participation talk about the basics of food testing that can help in many ways, and with all age groups. The success of the talk is reliant on people bringing their own “stuff” to test. Are your foods, supplements, natural remedies, etc., “good for you” ? A simple muscle test this evening will tell you everything! 7) Remember to bring pen and pad to make notes about the test! Building on Part 1 of this amazing two-part presentation, Ken will continue testing foodstuffs and supplements and their suitability for individuals. As part of this, please bring along whatever you found to be not suited to you and we shall look more deeply into the reasons and effects. Part 2 will start with a short recap for those of you who couldn't make it last week, plus a feedback session of about any concerns that you may have. This is rare opportunity to discover what foods and supplements are most suited to you! What on Earth is “The Starchild Skull”? Based almost entirely on the research of Lloyd Pye, Andrew Johnson will be discussing the world-famous Starchild Skull, a real bone skull found in Mexico in 1930. 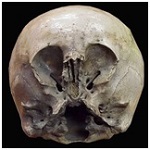 He will cover the 25 major physical differences between the Starchild and a normal human skull – including those that are not seen in any other skulls or bones on planet Earth! Andrew will cover research on the Starchild’s DNA – done over a period of more than 12 years, which clearly shows that, as soon as its entire genome is recovered and sequenced, its genetics will confirm it is vastly more distant from humans than chimps or gorillas. The Starchild Skull should establish once and for all that we humans are not alone in the universe… and never have been! See www.starchildproject.com for more information about the Starchild and www.lloydpye.com for more information about Lloyd Pye’s Research. Anomy is a condition of individuals or society, characterised by a breakdown or absence of social norms and values. “Usury”, “Apocalypse” and “Anarchy” – three words that are very poorly understood, but critical to our survival. Abdun will explain how we arrived at the Anomic Age, and will introduce some of the alternative concepts that can be easily established to return our shared consciousness back from the stagnancy of hierarchic slavery to the community of free souls that we are designed to be. Abdun will explain his perspective, and show a different way to approach living, giving people a choice: to live or exist, to act or cower, to reason or conform. Furthermore, he will present a short history of the genocide suffered by the peoples of Britain, evolving but unremitting since 1066 until the present day. Chez is a consciousness-awareness researcher, writer, author and audio narrator. He is a spiritual attainment guide who went through a powerful conscious awakening from non-educated pub owner and theatre actor to a enlightened individual who came to understand the vast complexities of the absolute. Chez’s unique talent is the ability to explain the complex in a light-hearted, simple manner that highlights the potential for, not only what can be, but how to realise it in the present. Whether you are a religious person or not, religion holds an important part in helping to prepare the masses of this world for Extra-terrestrial contact, otherwise known as Disclosure. In recent years, strange consistent statements have been coming from the top echelons of the Catholic Church in relation to alien contact. There is definitely something going on, some kind of ‘build up’ towards a unique event in human history: contact with alien life. This is a 2-hour presentation based on Phil’s soon-to-be-published book, “Secretum Omega: The Vatican Disclosure” and will consider the astonishing facts of a worldwide conspiracy that has been set in motion since the Middle Ages by the Catholic Church for alien contact in our near future. Copies of Phil’s book will be available for sale at the presentation. Many of you will have read or heard about this new ‘buzz’ word and it will no doubt have a positive meaning. How useful do you feel it will be to create more harmony, more happiness, more peace externally? The exciting news is, you can IF you practise mindfulness. It’s all about YOU! All peace, health and happiness is an inside-out job. Magnus has discovered that when you point fingers, three point back and to the degree you or I start: complaining, criticising, worrying/fearing, gossiping and or excuse making, we’ve just disempowered ourselves! And here’s a new moment, this too will pass. In this presentation, you’ll be provided with some simple easy to learn/remember techniques in MINDFULNESS. You’ll walk away with all you need to create the above so that there are less wars going on externally. Thinking that we’ll fix those externally is like thinking that watching TV makes you fat or that Firemen cause fires! How come? Well, every time there’s a fire, there’s always a firemen! Another amazing moment to WAKE UP and truly become the change you wish to see, feel and hear in yourself. Understanding minerals and how vital they are for optimal health is paramount, along with how to balance them. There are simple dietary changes that can be made and natural supplements that can rectify the issues. All of us have heavy metal poisoning as we live in this chemically polluted modern world which is wreaking havoc in many peoples brains, leading to brain fog, attention deficit, autism, Alzheimer’s and a host of other neurological disorders. Even babies are now born with a toxic heavy metal load passed from their mother. It is vital that we all know how to simply and safely detox the heavy metals from our bodies and our children’s. Phil Escott poses a serious question: how can a serious illness – something most people are terrified of – end up being the greatest blessing in your life? How can it even lead to a profound awakening that 30 years of ardent meditation failed to reveal? In truth, all pain is growing pain if we can surrender to the lessons it’s trying to teach us, and it can show us how to listen to the whispers of the body before they become shouts. Join Phil Escott, Amazon Kindle best-selling author of “Arthritis, The Best Thing That Ever Happened To Me” as he takes you on an entertaining journey through his own healing, all the wrong turns and crazy failed “cures”, deprogramming from medical and spiritual dogma to the discovery of a simple, but often misunderstood, template that led to ultimate success, leaving him in the best shape of his life – even after a diagnosis of “incurable”. Phil will also be talking about how experimenting extensively with hallucinogenics might have been not only a missed gateway to the awakening he had always sought, but also the root cause of the immune system’s confusion in the first place. Phil now spends his time running Ancestral Health Awareness meetings and helping people all over the world, via Skype, to take a fresh look at their health with great success. Anyone with an existing chronic condition or even just an interest in the mechanics of spiritual awakening will find this fascinating. Unknown to most, “Black Cube Worship” is as alive, well and strong today as it ever has been. The worshipers believe it’s time for it to come out from the shadows to be seen in all its glory – from the groups that worship its esoteric meaning to the individual that idolise its form. Ian Stewart will explain what this mysterious esoteric symbol represents as he opens for EVERYONE to see and understand it contents, and its highly guarded secrets. It is an energy, a force so strong, so silent, that mankind does not know of any greater power. This cube has controlled mankind since its inception. Ian will take you on a journey across the realms of religion, wars, politics, 911, number, signs, symbols and so much more. So if you have the time, please do come along to New Horizons St Anne’s and listen to something fresh – a new understanding of the Black Cube symbol.  It is the esoteric symbol of TODAY! For countless years, Man has looked up at the stars and questioned his very existence. Darwin would have us believe we evolved from the apes; religion would have us believe that humanity was sparked by the pairing of Adam and Eve... and of course, there are those that believe in the ‘Intervention Theory’ that states that extra-terrestrial intelligent life had a hand in creating a unique living organism with incredible capabilities: an organism known as ‘Human’. What is the current belief in our creation?… where did we come from and how? And, more importantly, how can hominids such as Bigfoot exist within our scientific and evolutionary path? Steve Mera delves into the question of human origins and the existence of Bigfoot creatures around the world, and presents some thought-provoking ideas. 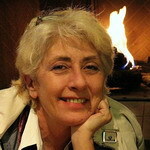 Cara is an American researcher, author, lecturer, and workshop facilitator. Her journey began with the aerosol wars in 2010, made its way through a stint on David Icke’s TPV channel, to work on social engineering with Harald Kautz-Vella, and so forth. She began reverse engineering “the trance” one layer at a time: false history, food as a giant con... the list is finite but extensive. Cara has also gathered substantial evidence that the Fae are actually both the first global culture and our initial seed race. 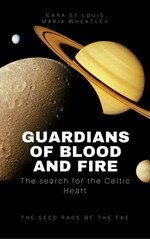 This project is called “Guardians of Blood and Fire: The Search for the Celtic Heart”, written with Maria Wheatley. She is presently working with Mark Devlin – he’ll be coming back to New Horizons! – and Sylvie Ivanowa of the “newearth” series. Cara’s speciality is the power of the human imagination... whether it underlies the demonic effort to control humanity or the way we can free ourselves and once again make our thinking our own. After discovering some startling information about cancer, Dave embarked upon eight years of extensive research, self-experimentation and intuitive leaps in the field of alternative and holistic health. In addition, Dave has worked on various eco-village, off-grid and free energy projects, wrote a book called “The Human Body Owner’s Workshop Manual” and also founded Awake Radio, an internet talk radio station covering topics regarding truth, health, current affairs and activism, with an audience of more than four hundred thousand listeners worldwide. Tony Topping explores the themes that led up to a mysterious phone call from Germany, contact with ET in the Time Continuum in the 90s and currently, and an incident in Germany that led to six intelligence officers going AWOL. A really interesting night awaits. Dr. Kay holds a PhD from the University of Western Australia, specialising in immunogenetics. He founded the first Molecular Pathology laboratory in Western Australia and has published over 80 research articles relating to molecular pathology, genetics, medical sciences and cancer biology. Because there have been some exciting scientific advances relevant to cancer, he has established a clinic called, “A science-based information and support service for cancer patients.” He specialises in providing cancer sufferers with current information about the pros and cons of various treatment options. Dr. Kay also contributes to the education of anyone interested in health care. He has developed world class science-based courses that enable interested parties to become more familiar with matters to do with cancer and immunity. Dr. Kay may be contacted by email at peterhkay@gmail.com or tel: 01772 691 443. Is Humanity, as we know it, on the brink of Mass Extinction? However, rather than this being seen as a problem, Ian sees it as a tremendous opportunity for humanity to rise to the challenge and step into their sovereign being. The ruling parasites have unleashed ‘bio-spiritual warfare’ upon the human race... are we going to rise to the challenge? ... or sit back and watch our children and grand-children be sucked into an irreversible trans-humanist NIGHTMARE? The Great Eclipse of this last August wreaked much havoc. One of the benefits, though, is that it offered a clear line between AI/Tech and the Organic/Fae. Now is a time to choose some ground and defend it! We'll talk about that and we'll talk about who YOU really are, the Original Magician. And, of course we'll talk about our seed race... far more ancient than any other race, Draco, Nephilim, and so on. What remains astonishing is that they are here, very much wedded to the planet and available to us, their progeny, now at the turning of the tide. The evidence of their existence is clear, unmistakable and very, very recent. They are not, however, a saviour race. That is Draco programming. Cara St. Louis will bring her expertise in this area. The world is in crisis. Terrorist attacks are an almost daily occurrence and Trump, along with the other lunatic in North Korea, appear to be trying their hardest to ignite World War Three. But are they acting independently or is this all part of a sinister plan? Could it be that all of this is part of a well-orchestrated programme designed for the purposes of population control and fear? In this talk, Janine will outline why you can never believe what you hear in the mainstream media and she’ll show you examples of how the media are at the forefront of manipulating the minds of the masses and the exact techniques they use. 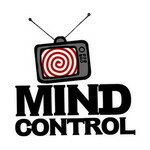 Quite simply, the media is the ‘mind control’ division of the government. If they own our minds, then they’ve got us right where they want us. But Janine won’t stop there. She’ll also explain why even some of the well-known heroes of the alternative media should not be followed blindly. More importantly, she’ll tell you why she believes that a resource-based economy, community leadership and self-sufficiency is the only way out of this mess. As always, read everything; but believe nothing until you can prove it for yourself. What has got us into the mess we have been in over the past 100 years (three world wars, servitude to the USA and the EU, economic immorality, etc.) is the obsession with the unitary State in which the government is seen, in effect, as the CEO of an internationally competitive company called UK plc and is expected to manage and interfere in everything within British society. Life on earth is seen in a Darwinian way as a struggle for survival between these unitary States. 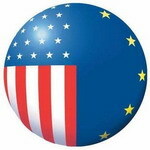 The EU has been trying to make Europe into such a unitary State (the United States of Europe), and the political parties in Britain have tried in vain to run Britain effectively as such a unitary State since the First World War. 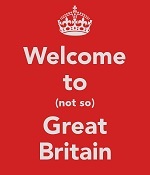 But a hundred years on, everyone senses that our elites are out of ideas and that nothing is really working anymore. Many are only hoping to fend off the next big crisis and ultimate collapse; others are even looking forward to it – a counsel of despair. The healthy way forward was first pointed out 100 years ago already – and it was not Communism! – but people then on all sides of politics were too much in thrall to the State to listen. That healthy way forward is the threefolding of society, in which society’s three main spheres – the cultural, the political and the economic – are run by the people who are active in those spheres. The three inter-relate but do not interfere with each other – just as the three systems of the human organism (nerves, circulation, metabolism) cooperate but do not interfere. In spite of all the pain, the errors and evils of the past 100 years, the threefold society has gradually been emerging nevertheless. The talk will flesh out why that is so and what the threefold society means for our future. Harun Rabbani’s personal healing journey in 2013 transformed his life beyond recognition. As a result, he developed the Sufi-based Total Heart Transformation energy healing process that many hundreds of clients have used to re-engineer their lives. You were born to live a life of brilliance, abundance and fulfilment. Is that what you are experiencing? If the answer is “no”, then it’s okay. That is exactly what’s happening for most people. It’s not your fault. The question is: would you like to change your reality? Whether you’re suffering from health problems, toxic relationships, addictive behaviours, loneliness, career stagnation, financial meltdown, lack of confidence or more, you can change your reality in less than 90 days. You are far more powerful than you’ve been led to believe. Yet, from the time you entered kindergarten, you were conditioned to living from a place of fear and survival. During the ‘Living from Your Heart’ interactive talk, you’ll discover the essential tools you need to kick-start an epic journey from your head to your heart AND become a magnet to abundant living. Whether you wish to enjoy better health, become financially abundant, supercharge your career, find your soul mate or fast-track your personal evolution, then make sure you join us. Ancient Discoveries: Who Built the Megalithic Cities? In his fascinating presentation, Steve visits Peru, Egypt and other sites of early history and looks again at their cities. Is it actually possible that the huge stones in their fortresses and citadels could be fashioned using just primitive bronze blades that are, in fact, softer than the stones they're meant to have cut? What could explain the deep precise cuts in solid basalt near the base of the Great Pyramid? Cuts that could only be made using the equivalent of angle grinders? Steve asks these and other perceptive questions and comes up with astonishing, but convincing, answers. The most important building in history gives us clues as to the geometry of the earth we inhabit, which by common sense, and repeated observation is neither a ball nor is it in motion. Darren presents a new model of the fixed-plane earth, showing why it cannot be a circle, with plenty of new graphics and animations modelling the true shape of our home. And he may well play a song or two afterwards as well!